Well, election night came and went – but the election isn’t over! What a strange feeling – for the leaders and the candidates, for all the volunteers who worked so hard in the run up to voting day, and for everyone who stayed up way too late on election night – all of us waiting for a final result that didn’t come. Here in BC, we’re in political limbo for at least another week, as we wait for the results of absentee ballots and recounts to be announced. We may not yet know who will form our next government, but one thing is abundantly clear: in this nail-biter of an election, every vote mattered. Literally, every. single. vote.counted. Which means all the hard work we did together – every phone call made, every letter written, every tweet sent, every conversation had – they all made a difference. So a huge thank you to every one of you who took part in our #VoteForTheCoast campaign: we have a lot to be proud of. Another thing that’s also crystal clear? We succeeded in making Kinder Morgan a major issue in this election. From the TV pundits on election night to the commentary in newspapers across the country the very next day, everyone was talking about how Kinder Morgan had emerged as a top ballot box issue in some of the closest fought ridings, how more than 60% of British Columbians had voted against the project, and how Kinder Morgan’s prospects for getting the pipeline built had just become a lot more gloomy. 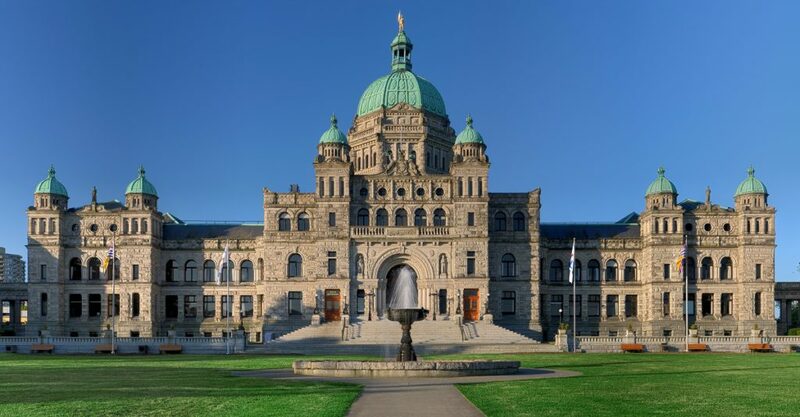 Now, Kinder Morgan is emerging as one of the major negotiating points as the parties discuss possible cooperation in the Legislature. The cloud of uncertainty that now hangs over the project’s future couldn’t come at a worse time for the company: after failing to find a joint venture partner, Kinder Morgan is now about to launch an IPO (initial public offering) to try to pull together the cash it still needs to build the pipeline. So what comes next? Who will be Premier? Will we have a minority government, a coalition or a majority government? We have to wait and see. If you want to dig into the scenarios that could play out, and the negotiations that are going on right now between the parties, check out these explainers at DeSmog, Vancouver Sun and the Globe and Mail. No matter what the outcome, there is strong reason to believe that progressive and environmental agendas will fare better under whatever government emerges – even a razor thin majority. With more cooperation required across party lines, more concessions to the ‘king-maker’ Greens, and the possibility of case-by-case negotiations on every item that goes to a vote in the Legislature, we are within reach of a whole new set of possibilities, and more opportunities for citizen influence, than we’ve had in a very long time. The legislative agenda will be open for business in a way we haven’t seen in British Columbia in over 60 years. What fun. For more on the reasons environmentally minded voters should be hopeful, see Dogwood and West Coast Environmental Law. For now, if you’re the political junkie type, enjoy the ride over the next few weeks; and if you’re not, rest up and get ready to wield some reinvigorated citizen power come June! On Twitter? Send a tweet to your new MLA, congratulating them on their win and telling them that, since 60% of British Columbians voted for candidates that oppose Kinder Morgan, you’re looking forward to seeing your MLA work to stop the project.